I’m not going to lie, Monday’s are going to be tough with #NaPoPodMo. After a late night recording TransMissions, a full day of work, and some activities that my kid has, I’m wiped out. However the show must go on, and I’ve got a pretty cool thing to talk about. In today’s episode I’m talking about the song Scrounge’s Lament from the “Respect The Prime: The Constructed Cold EP” album that my friend Jim Semonik recently released. It’s a fantastic song, and I’d highly recommend listening to the clip I put in the show, and purchasing the album. You can get it from Distortion Productions directly or you can use the Amazon affiliate links in this post, and buy it from Amazon. 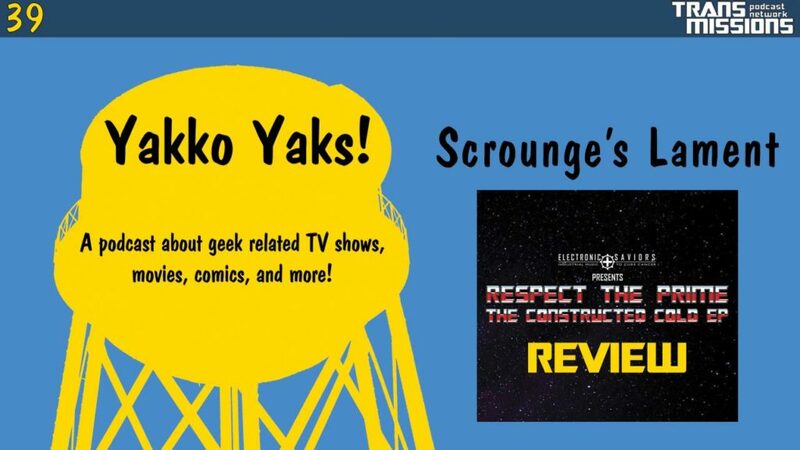 Remember to send your feedback at yakkoyaks.com/yaks39 or on twitter @yakk0dotorg and please subscribe and leave a rating and review in iTunes or your favorite podcast app!